RestorationMaster has been a leading provider of disaster restoration and cleaning services in Waterbury, CT and the surrounding areas for over 40 years. We are located in Waterbury, CT and service the communities of Litchfield, New Haven, Fairfield, ad Middlesex counties. Each of our technicians are highly trained and dedicated to responding quickly to your restoration emergency so that we can stop the damage from spreading and get your home or business restored as soon as possible. The main services we provide include water damage restoration, sewage cleaning, mold remediation, fire and smoke damage restoration, and hard surface floor cleaning. Our cleaning equipment and products are the best available in our industry and allow us to handle any size loss including large losses in commercial and residential settings. The technicians of RestorationMaster are IICRC certified and we work with local insurance providers to help coordinate your claims. We have completed several local large losses projects including water damage at Yale, Hotchkiss School fire, and Woodridge Lake POA water loss. You can call us 24 hours a day at (203) 721-6646 to respond with emergency disaster restoration services in Waterbury, CT and the surrounding communities. Water damage is not an easy problem to deal with because it can quickly get absorbed in porous building materials and spread undetected throughout your home or building. 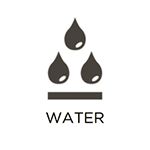 There are many potential causes of water damage including floods, rain, broken or frozen pipes, overflows, and sewage backup and once you notice water damage in your home or building, you must call for water damage restoration immediately. RestorationMaster provides water damage restoration services for homes and businesses in Waterbury, CT that have been affected by excess water or moisture. We respond quickly with advanced drying equipment to limit the damage and we are also equipped to handle sewage cleanup. One potential cause of water damage in your home or building is sewage backup and if you have raw sewage in your home, you must stay away from it to avoid an infection of illness. Sewage backups contain dangerous materials that can only be safely removed by a certified professional. 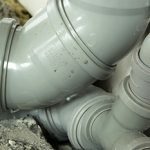 RestorationMaster provides sewage backup cleaning in Waterbury, CT to safely remove sewage from your home. We will completely remove all water and debris from the sewage backup as well as clean and sanitize the area to reduce negative health risks. A fire in a home or building often erupts in an instant and it takes quick action to evacuate during a fire and start the restoration process. 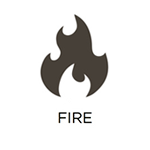 The flames themselves can cause destructive damage to your home and after the fire is extinguished, the soot from the smoke will spread to other areas of your home and cause tarnishing and etching that will quickly become permanent. 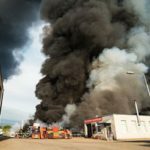 RestorationMaster provides fire and smoke damage restoration services to help homes and businesses in Waterbury, CT that have been damaged in a fire. We use advanced cleaning products and equipment to restore damage caused by the fire as well as remove soot and residue from the smoke. 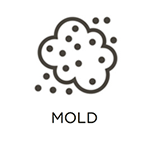 Mold can cause so many issues within a home or building as it can result in severe property damage and significantly increase the risks of certain health effects such as allergies and respiratory infections. Mold growth can happen just about anywhere with the right conditions which include a source of moisture and a food source, and it will not stop spreading through the home or building until it is removed and the moisture source is repaired. RestorationMaster provides mold remediation services in Waterbury, CT remove mold from affected homes or buildings. Our technicians will make sure all mold growth is completely removed and repair the moisture source to prevent further mold growth. Hard surface flooring is an excellent option for several areas of your home such as the kitchen and bathroom because of its durability. However, many hard surface flooring types can accumulate dirt and other debris in the cracks and crevices of the floor which can cause discoloration and wearing of the finish. RestorationMaster provides professional hard surface floor cleaning services in Waterbury, CT to thoroughly clean and restore hard surface floors. Our advanced cleaning equipment can remove deeply embedded debris from the crevices of your floor to restore its look.